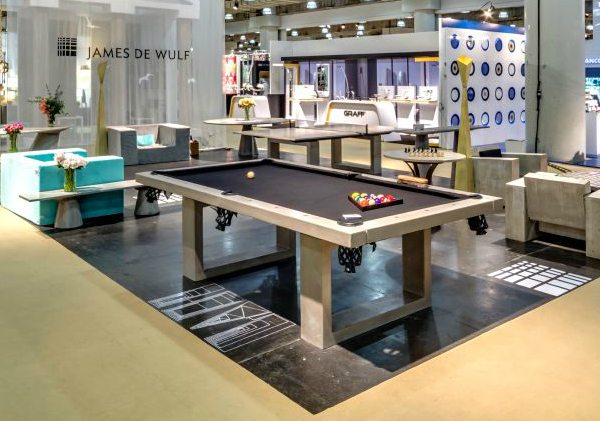 I was excited to meet James De Wulf, a charasmatic guy in a stylin' pink suit at the International Contemporary Furniture fair (ICFF) 2013. 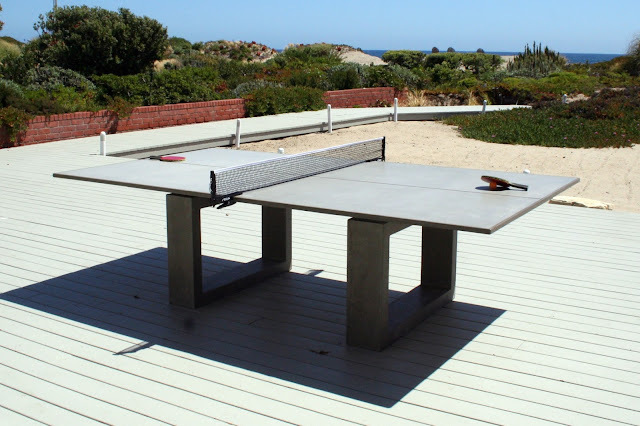 He showcased a broad range of whimsical products from sleek and modern pool and ping pong tables to outdoor furniture pieces. Designers were having a grand ole' time at the ping pong table during the show. I asked him how he got his concrete so ultra-thin and extremely strong which is an innovation in itself. He freely described to me to that he experiments with polymers rather than aggregate materials. Uh huh...oh, so that's how he does it... 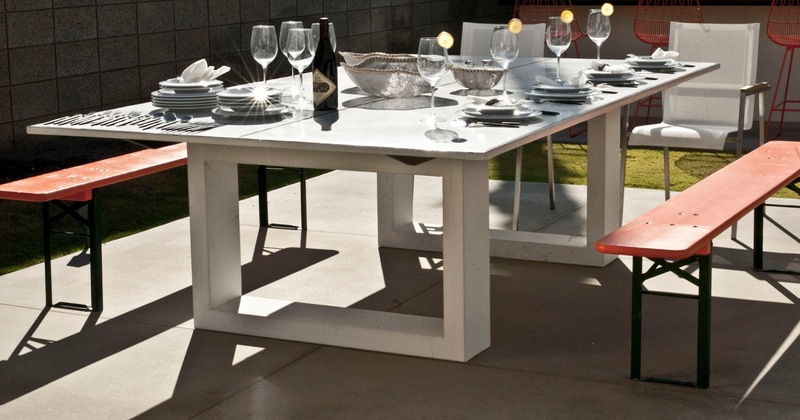 The profile is so thin yet you can literally stand on this table and not break it! The elegant and streamlined pool table can be used as a dining room table too. Ultra- mod, Love it! The Concrete Ping Pong Table can withstand any climate and is built to last. Built with a steel frame, so will need a couple of strong guys to put together! 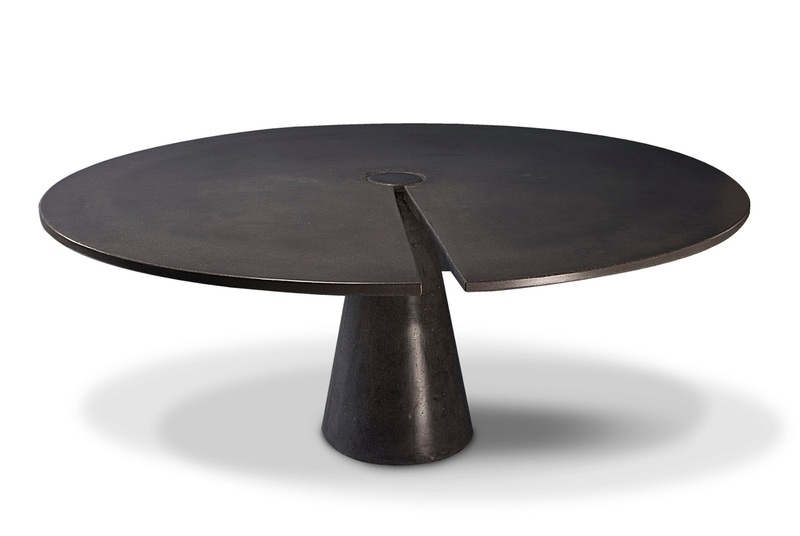 I'm obsessed with the color of this concrete table design....it simulates blackened steel. 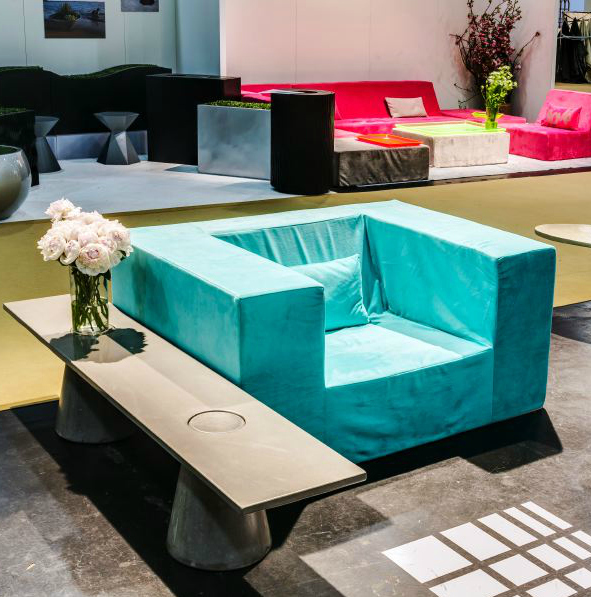 De Wulf's Soft block furniture is absolutely FAB. He captures the same minimal profile of his concrete chairs and shifts its characteristics into his Softblock collection of modular sofas, chairs and ottomans. The forms are lightweight and covered in popping colors and patterns in collaboration with designer Goga Bouquet, president of Jiti bedding, an online modern textile company. I had a lovely chat with Goga Bouquet too in her booth diagonal from James. (see in pic above) Really comfy sofas, I didn't want to get up. The new striking pink and blue cover line had a nice feel and they are all removable, interchangeable and machine washable. Great for outdoors as it is UV resistant and quick drying. 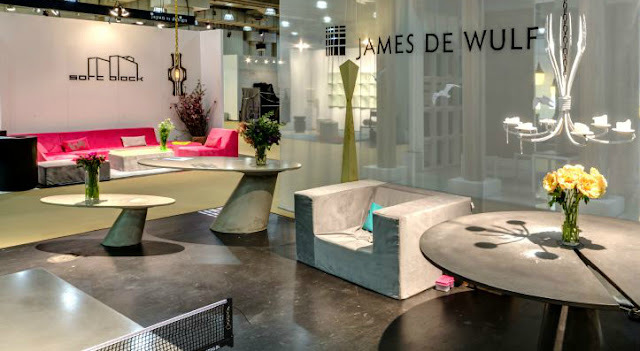 You can connect with James De Wulf on his WEBSITE, FACEBOOK and TWITTER, You can connect with Goga Bouquet on her WEBSITE.